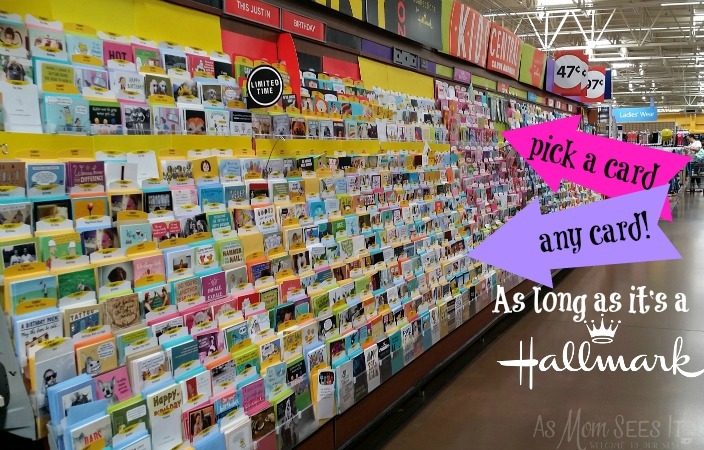 If you don’t have a huge stock of greeting cards on the ready, you may be making frequent trips to Walmart. With graduations, Father’s Day and wedding season over the next few weeks and months, you need to be prepared for that moment when you’re suddenly invited to an event or have forgotten someone’s birthday. We’ve been there, it happens, and it’s a big deal. But, you don’t have to experience that sudden feeling of fear – just stock up on Hallmark greeting cards during your next trip to Walmart! 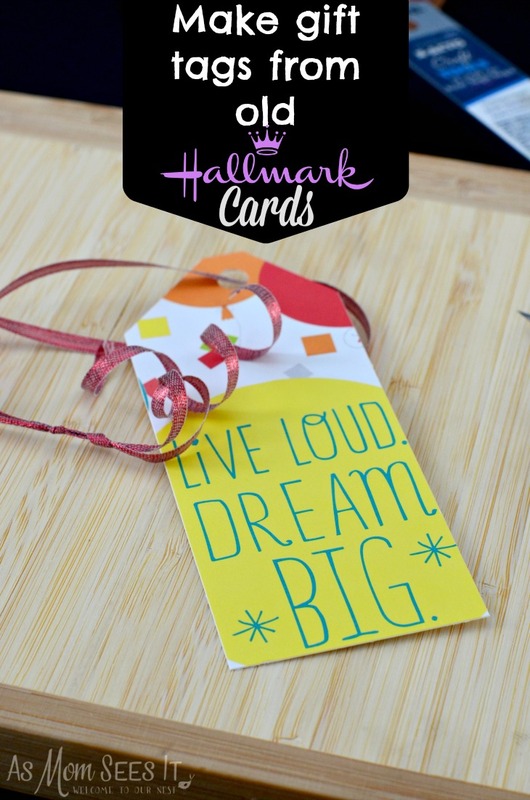 With Hallmark cards starting at 47 cents, you can do more than just stock up for card giving season. I love these cards! They’re all bright, fun, beautifully made and they’re affordable. Which inspired me to do fun things with a few of the Hallmark cards I bought at Walmart. It’s a great way to use Hallmark cards that you receive, too! 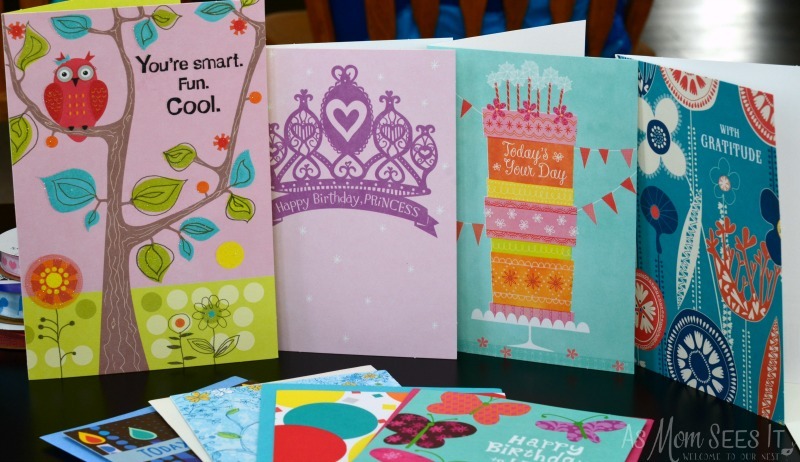 Whichever you choose – $.47 cards, $.97 cards, musical cards, Hallmark gifts or wrapping paper – you can find everything you need where you see the crown. I like to stock up and keep a bunch of Hallmark cards of all varieties in a shoebox with labels so that I’m organized and prepared. I love these $.47 cards because they’re cute, pretty and cheap enough that I can buy cards for birthdays and holidays all throughout the year. 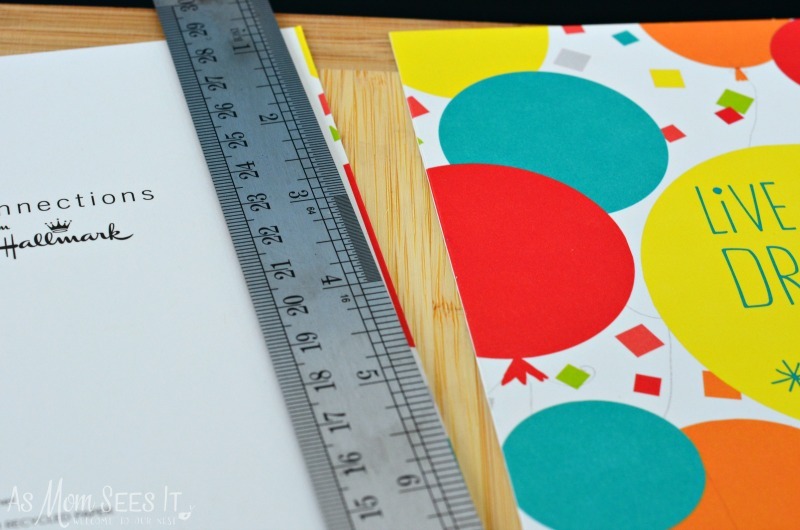 It would be a shame for cards this lovely to go to waste, so we figured out how to make gift cards and bookmarks from Hallmark cards that we receive. It’s a great way to preserve the memory of the important day for which you receive each card, such as a wedding or a graduation. First, cut the back off of your card. This is the part that people who gave you the card write on, so save it in a file, folder or page protector in a binder if you wish. You may want to write on the back the date and occasion on which you received the card. 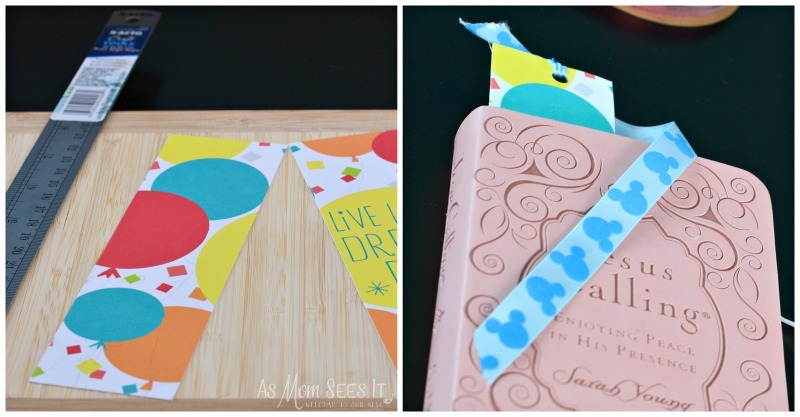 Trim the decorative side to the size you’d like your gift tag. Then, trim a decorative top, punch a hole in the top, and string baker’s twine or a pretty ribbon through the top and tie. I like to curl the ends before putting it on a gift for a more decorative feel. The back should be blank so you can write your own message! With the part of the card I trimmed to create a more narrow gift tag, I clean up the end, punch a hole in the top, and tie ribbon through to make a bookmark for the kids. That way, I’m using all of the card. 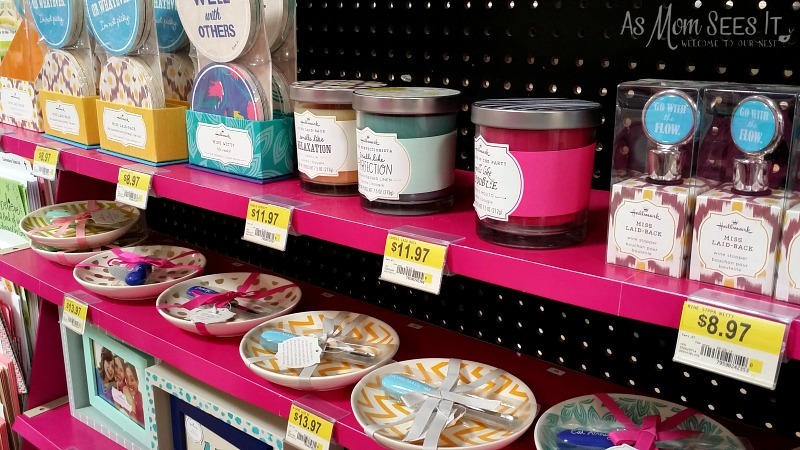 You could add your gift card to one of the great gifts that Hallmark has available in their card aisle at Walmart. How do you organize your Hallmark greeting cards? 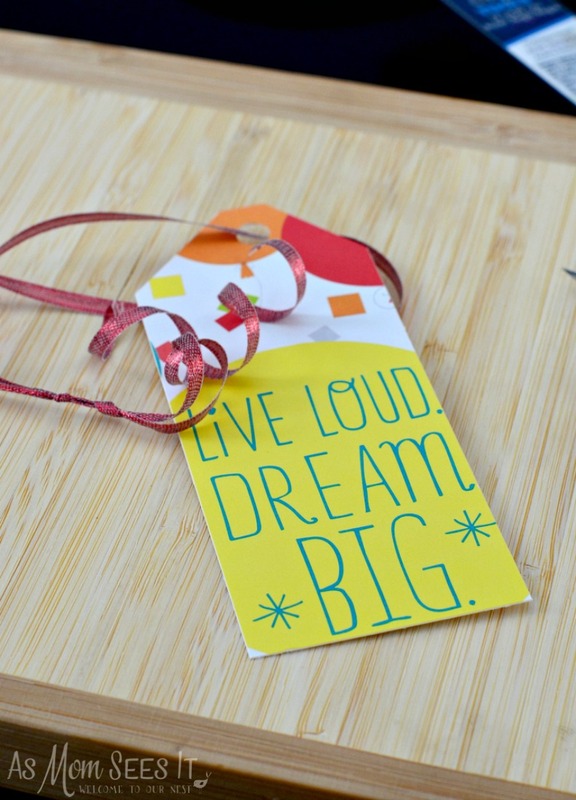 Do you have a favorite craft using your old greeting cards? Thanks! And, I agree – I’ve seen cards that cost over $3! That’s crazy.